Frequencies of the A673T variants in APP in various patients groups. This variants is least frequent in patients with Alzheimer’s disease and most common in the elderly older than age 85 without evidence with cognitive decline, i.e. 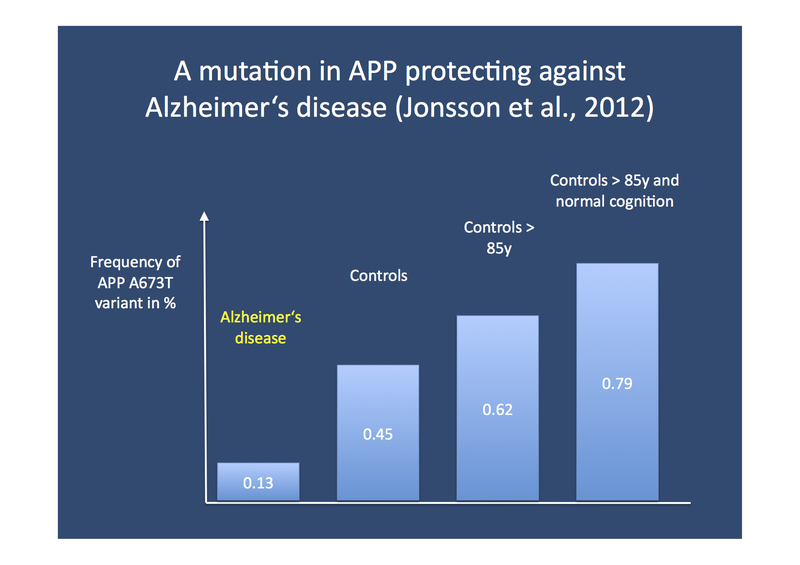 this variant protects against Alzheimer’s disease and cognitive decline.